We’ve just crossed the half-way point of 2018 and it seems like the cracking pace is set to continue for another six months. We’ve only just become accustomed to writing 2018 down when penning the day’s date, so maybe it’s a good opportunity to stop and smell the roses. There’s a bunch of exciting things happening around the world that we’re really digging, from a new trend in recycled grain and forthcoming bushland galleries, 2018 is giving us the goods. Here’s a quick list of everything we are vibing this month. Forget about your substantial fairy-light collection, interactive light displays are what we’re about now. Innovative art collective teamLab pushes the limits of digital technology as an art form, connection humans and nature with mind-bending installations. teamLab has announced the launch of amusement park Planets TOKYO, which features multiple immersive works in a 10,000-metre space, on display for the next two years. Sprawling light fields that showcase infinity, mind-bending mirrored works and displays projected on the surface of water feature, launching officially on Saturday July 7. Australia is in the midst of a gargantuan craft-beer boom, with new micro-brewery operations popping up monthly. One issue that could prove to be significant in the wake of this boom is the wastage of grain, a product that is vital to the brewing process. Beer brewing creates tonnes of grain wastage, a problem that New York City-based flour company Rise Products is tackling head on. The company sources used grain from local breweries and upcyles it into flour, diverting spent grain from landfill and helping turn it into delicious food. The resulting flour boasts more fibre, twice as much protein and a third of the carbs of all-purpose flour, making it an in-demand ingredient at local bakeries and restaurants. While gin is also experiencing an upswing in prevalence in the Australian artisan distillery scene, the demand for quality non-alcoholic alternatives is also on the rise. Melbourne’s Brunswick Aces is one of the fist Australian-made non-alcoholic spirits on the market, and it’s already seen a positive response. 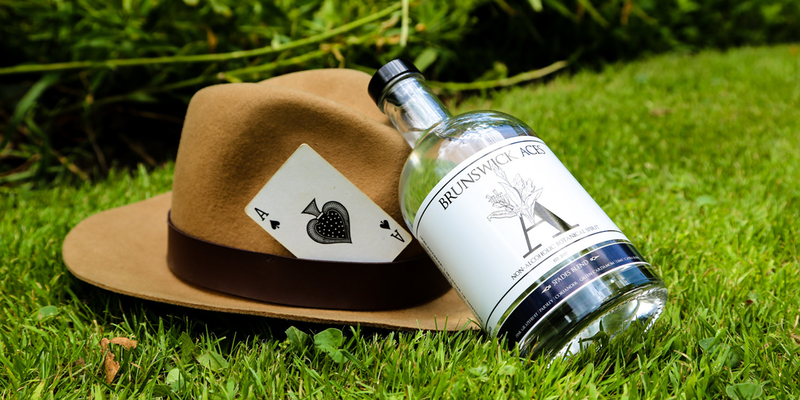 The Brunswick Aces team, comprised of an engineer, a scientist, a marketing guru, a finance officer, a communications whiz and a chef, have brought together Australian botanicals for its two blends – the Spades and the Hearts. The Spades Blend features ingredients including lime, pink grapefruit, cardamom, parsley, clove, lemon myrtle and coriander, while the Hearts blend mixes juniper, wattleseed, cassia, clove, star anise, ginger, sage and pink grapefruit. Dry July just got a bit more tolerable. Huge news for Australian art lovers – the New South Wales government recently announced plans to create a world-class gallery, artwork storage facility and learning centre on the site of Arthur Boyd’s Bundanon home. 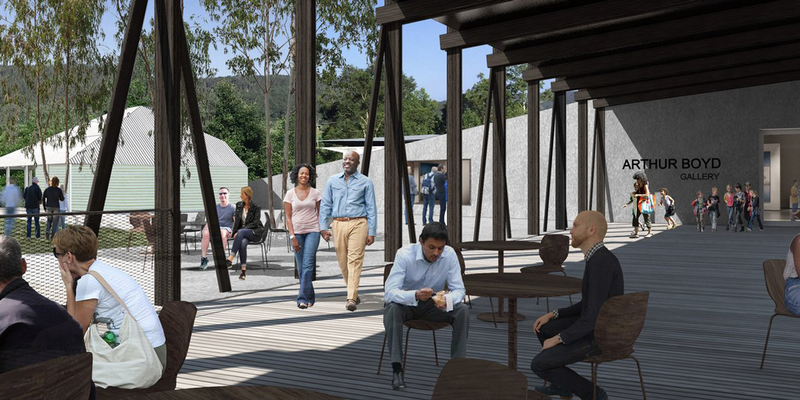 Roughly $8.5 million dollars will be invested into creating the gallery, which will feature Bundanon Trust’s 3800 works, valued at $43 million. The gallery will sensitively embrace the existing landscape and its ecology, with a design that will be built in to the property’s sloping hillside. The gallery will display works from Arthur Boyd, Sidney Nolan, Joy Hester, Charles Blackman, Goya, Picasso, Brett Whiteley, Rosemary Laing and Policeni Papapetrou. There are two kinds of people in the world – those who love a little bit of car karaoke and stone-cold liars. If you’re not exactly shy about busting out a tune or two on your daily commute, there is something happening in Finland that is sure to warm your heart. 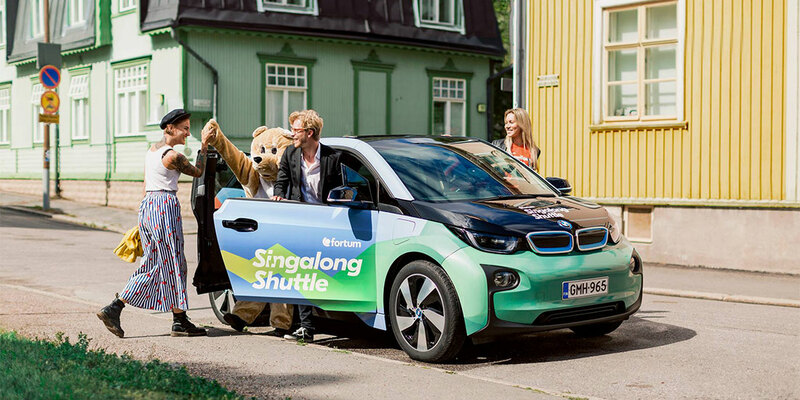 Clean-energy company Fortum is launching the world’s first ever Sinaglong Shuttle, a taxi service that accepts singing as its only form of payment. The shuttle is making its debut at Ruisrock Festival over the July 6–8 weekend as a way of introducing everyday people to the wonders of electric cars and emission-free rides. Thus, Scandinavians have proven once again that their countries are just infinitely cool and socially conscious. Next stop Australia, please!